Possible introduction of two new skilled regional visas. The Australian Government announced a new proposal to introduce two new skilled regional provisional visas from November 2019, and one new permanent regional visa from November 2022. This aligns with the Government’s plan to encourage migrants to move to regional Australia (which will be redefined as anywhere outside of Brisbane, Gold Coast, Sydney, Melbourne and Perth). Commencement of the five-year Subclass 870 sponsored parent (temporary) visa. 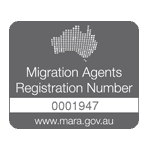 On 1 March 2019, Immigration announced that applications to sponsor a parent for a Sponsored Parent (Temporary) visa will be open from 17 April 2019. Once a sponsorship application has been approved, a sponsored parent will be able to apply for a Sponsored Parent (Temporary) visa. Applications for the visa are intended to open from 1 July 2019. Significant changes are coming to Partner visa applications. This will be in the visa process. The Department of Home Affairs intends to introduce a separate application for Partner visas and sponsors, which must be lodged and approved before a Partner visa application can be lodged. On August 12th 2018, the new Labour Market Testing (LMT) requirements for Temporary Skill Shortage (TSS) subclass 482 visa have been officially implemented by the Department of Home Affairs. What You Should Know About Skilling Australians Fund (Saf) Levy. The Skilling Australians Fund (SAF) levy impacts employers sponsoring overseas workers on both temporary and permanent visas. It officially came into force on August 12th 2018.